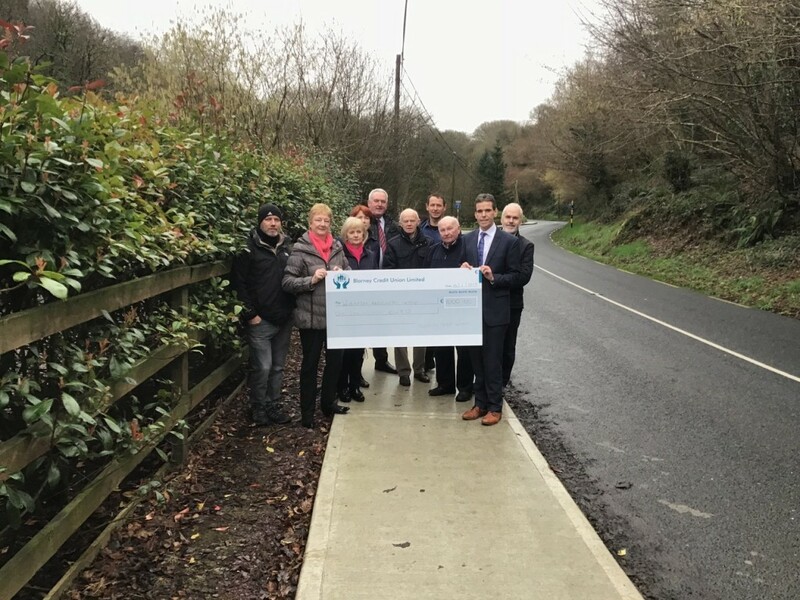 Blarney Credit Union recently presented a sponsorship cheque to aid the progress of footpaths near Waterloo. Pictured are Mary Keohane, chairperson Waterloo Renewal Group; Mary O Halloran, Treasurer WRG; Members of WRG including Michael O Halloran, Jimmy Duggan, Donal and Noreen Hayes, Danny and Denise Keohane; Blarney Credit Union CEO Anthony Forde; Chairman Brian Murphy; and Secretary Frank Murphy. Hats off to for the incredible work, commitment and development of this hamlet that we all love so much.